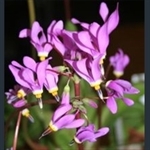 The 'shooting stars' are American Primulas, known as Dodecatheon, but now in a section of their own within the genus Primula. Almost all of them require cool, moist conditions, like most primulas. 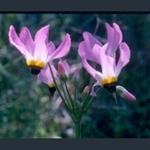 All have characteristic flowers with sharply reflexed petals.